If you are a teacher or teachers assistant, you are in a field where putting on smiles on the faces of little toddlers is what makes your day go around. The little children put in so much effort to make their parents and teachers proud. Be sure to do something to show them you appreciate their efforts. A great way to do this is with a Kindergarten diploma just for them. This makes them feel like they are walking the big stage like their older siblings did. 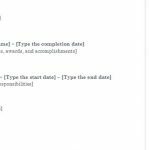 You want to be sure to give them an authentic diploma so try this Kindergarten Diploma Template. 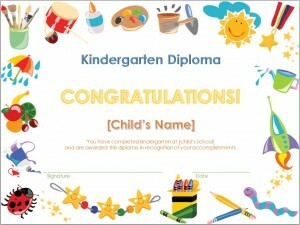 The Kindergarten Diploma Template is a free template that you can use over many times. 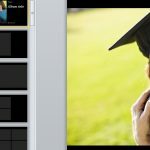 It is easy to download this diploma template from this site. This diploma template is a customizable template in PowerPoint. Once you open the template you are able to input the child’s name. You may insert an electronic signature you’ve scanned in or print off and sign each individually. You can change the colors of the text by highlighting the text and using the font color palate on the menu bar. You may change the font type as well. This Kindergarten Diploma Template does not have to be used for Kindergarten graduations only. You can use the template as an outline for any grade level. Print the certificate on a thick cardstock for parents to keep as mementoes. Place the diploma in a decorative frame to show them your appreciation for being there for their child. For the certificate you give to the children keep them on regular paper and roll it into a scroll and secure with a fun ribbon. This will make them feel like an adult walking the stage at graduation. You can also use this template as a rewards certificate. Instead of displaying “Kindergarten Diploma” along the top, change it to “Best Reader”, “1st Place Speller”, or “Perfect Attendance”. Be sure to change the description below to match what the award is for. The Kindergarten Diploma template found here will bring joy to all of your students.